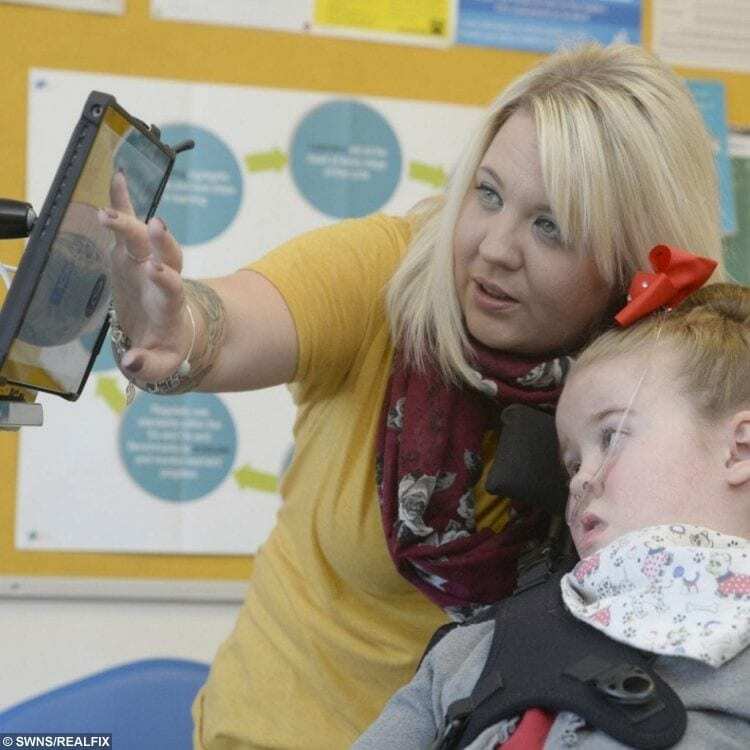 Jessica Greenwood was born with cerebral palsy which has left her unable to walk, talk and feed herself and she has to use facial expressions to communicate. 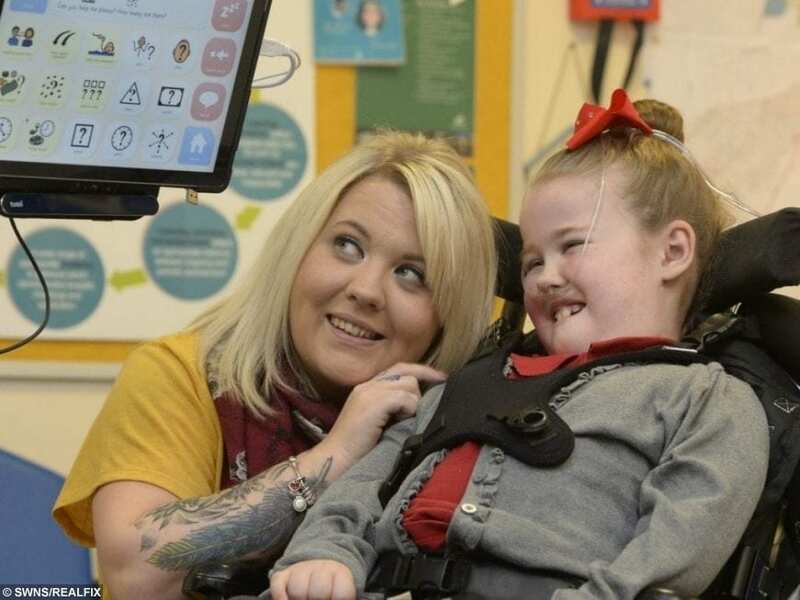 Her mum Claire, 33, said she is forced to try and guess how little Jessica is feeling and now wants to raise £10,000 to purchase the life-changing technology called Eye Gaze. 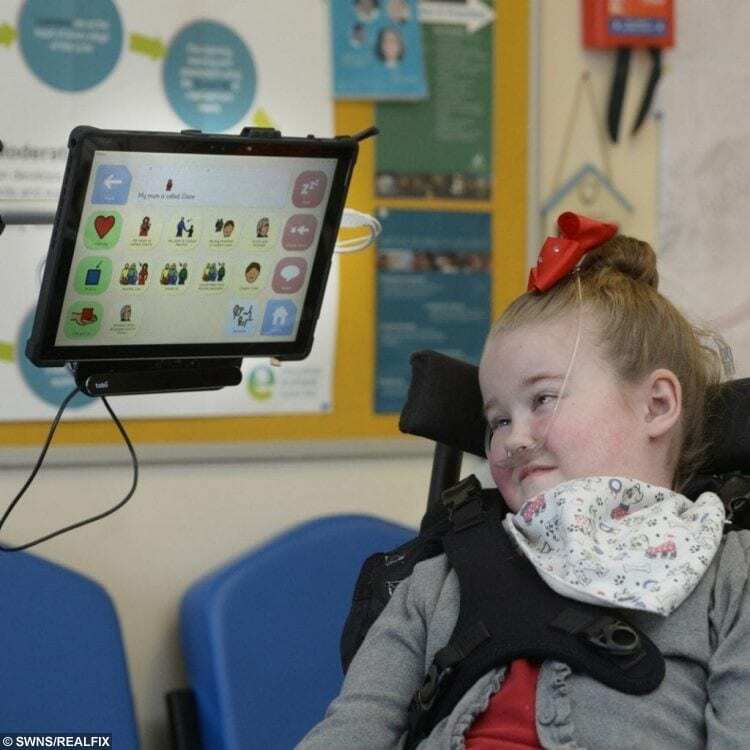 The software is uploaded onto an iPad and it allows Jessica to select a phrase or sentence by pointing her eyes towards it. It is similar to the machine used by physicist Stephen Hawking, who had motor neurone disease, which allowed him to select a word by moving his cheek. 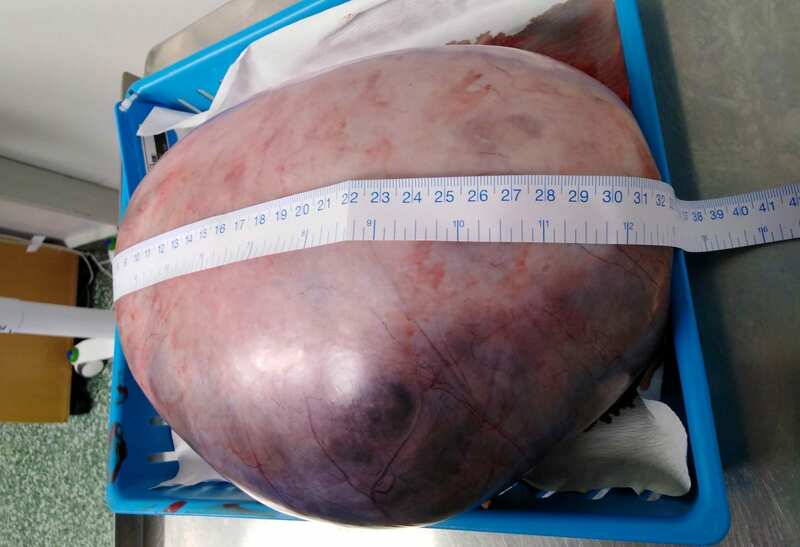 Jessica, who struggles to swallow her own saliva, is currently receiving palliative care at Robin House Children’s Hospice in Balloch, West Dunbartonshire. But Mrs Greenwood and her husband Martin 34, hope the device will improve their daughters quality of life. The mum-of-two, from Irvine, North Ayrshire, said: “To be going down a similar path as Stephen Hawking is inspiring. “He was an amazingly talented man who just put to show that people with a disability that is non-verbal can still be able to communicate through the world of technology. “It’s good she’s [Jessica] going to be able to use similar technology as Stephen to communicate with her friends and family. “We would not normally ask for all this help. “But we just thought there’s no way we could afford all of this. 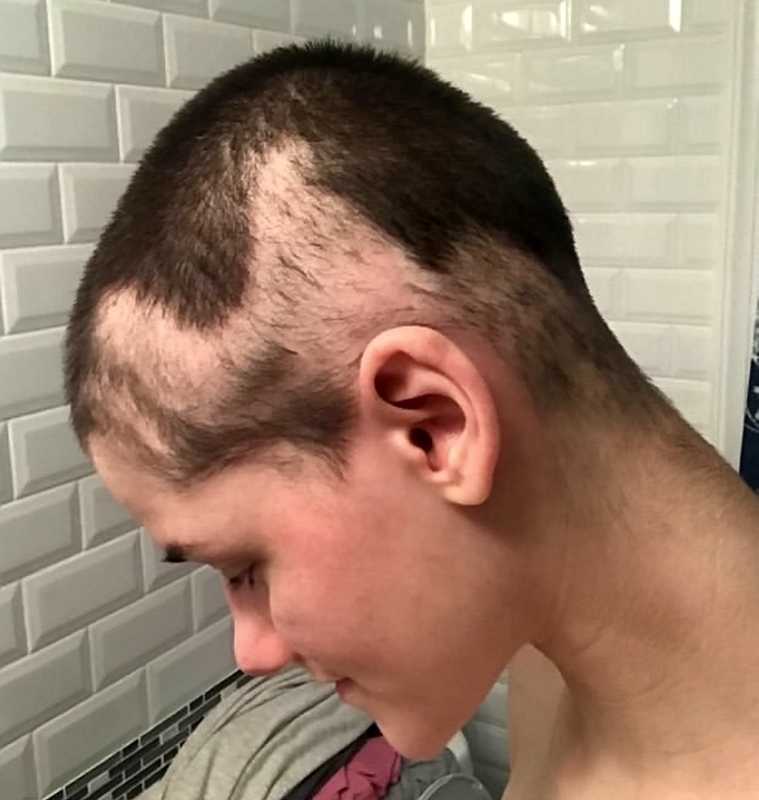 Jessica, who attends James McFarlane School in Ardrossan, North Ayrshire, is in and out of hospital as her family struggle to determine where she feels pain. With this technology, which she is currently trialling at school, Jessica would be able to tell her parents what’s wrong quicker and reduce distress for everyone. Similar to Stephen Hawking’s device, Jessica’s software works by a camera picking up light reflections from her pupils and translating the movement of her eyes into mouse cursor. She can then use the cursor to select words which are then related to her family. Mrs Greenwood said: “It’s such a shame not being able to communicate with her. “It can be so frustrating because we never know what she’s feeling. “At the moment she uses facial expressions to talk to us. “It’s always a guessing game and I just want this technology to help her communicate. “She gets frustrated when she can’t communicate. “At the moment Martin and I have to stand at different sides of the rooms to ask her questions. “So, for example, I could ask her if she’s hungry and if its yes then she would look at me and if its a no then she would look at Martin. “It’s really hard for all of us. “She attends Robin House three to four times a year for respite. “But if she’s not doing that she’s at home attending school five days a week. “Obviously we don’t know when her last day could be. “It could be tomorrow, next year or even three years time, we just don’t know. “We have to be positive but I can’t lie, we do struggle sometimes. Jessica’s trial with the software ends in Easter but the family hope to secure it long term.